Think back to that moment in your life when Destiny cooked up a “random chance encounter” in which you collided with circus for the first time. For each of us there was an all-important first encounter, when the circus spark landed somewhere within us and bloomed into a flame. DIY Circus Lab for Kids: A Family- Friendly Guide for Juggling, Balancing, Clowning and Show-Making(more info here) was written with that encounter in mind. There are far too many kids who don’t know circus exists, and that they can do it if they have the chance to try. And circus is so beneficial (as we all know!) that it’s practically criminal that every child and teen does not have access to it. How do children learn that they can try circus? Kids lucky enough to live near a circus program have a better shot at that chance encounter than kids who don’t, and even with AYCO’s two decades of advocacy there are still more of the latter than the former. This book is meant to increase the odds for a chance encounter with circus. In a library, bookstore, at school, at a friend’s house–this book could be lying on a coffee table right now, waiting for That Kid. And in that moment, That Kid can read how to make simple, inexpensive props and immediately DO some simple circus and maybe get sparked. The book then points to circus programs in the USA and around the world so That Kid can fan the flame with living teachers and coaches. 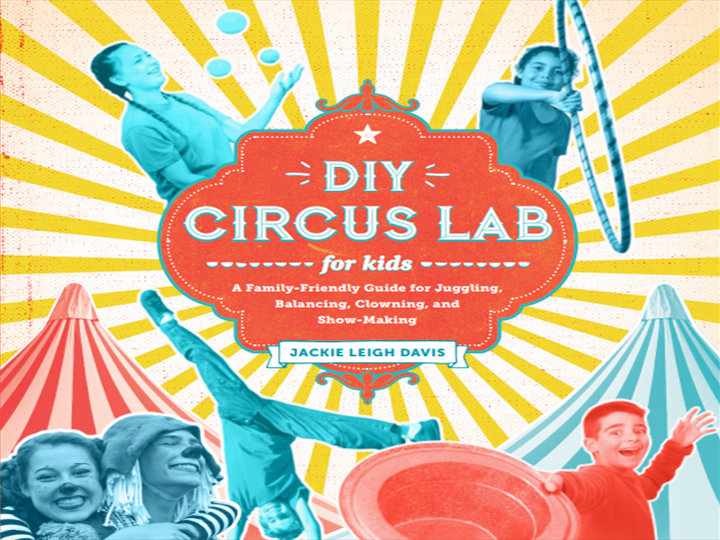 I wrote DIY Circus Lab for Kids as a portal to give kids (and all people) access to entry-level circus. By increasing the odds for a chance encounter with circus, more people can find it, try it, share it, support it. Because more circus in the world is a good thing, right?